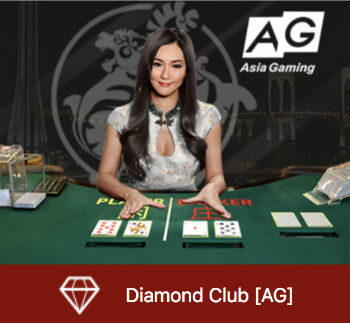 Asian market facing operators really like to cater to players’ every taste when it comes to live gaming. More is better, most is best seems to be the widely adopted mantra. 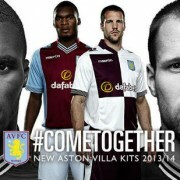 They don’t come much bigger than Dafabet. While they have made a concerted effort to penetrate European and UK markets with many high profile sponsorships (Celtic FC, Fulham FC, Leicester City FC to name a few) Asian markets will always be the foundation of their business. Indeed their high profile in the Premier League is likely directed at raising awareness with players across Asia, just as much as in the UK. So, it comes as no surprise that seemingly every time we visit Dafabet, they’ve added a new range of live casino tables from yet another provider. Right now at Dafabet, you can choose from 10 different providers! This translates to over 200 different tables, and 20 or so different games (minor variations aside). Included in this list of providers are a few of our favourites, so there’s quality in amongst the quantity as well. Well worth a visit if variety is your thing. One thing to note, you will not be able to play all these tables from a single account/wallet at Dafabet. 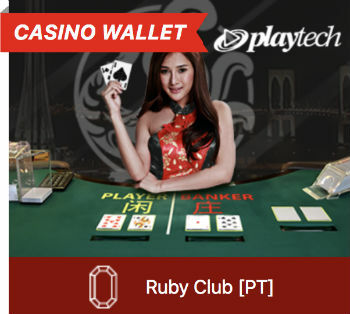 Funds in your general casino account can be used to play their Playtech tables. A different account/wallet must be funded to play most of the other tables (Live Dealer Wallet). A third account is needed to play the Opus Gaming tables. A bit clumsy. Hopefully they can cut this down to a single wallet at some point. Anyway, below is a snapshot of what they offer. They do like their precious stones. 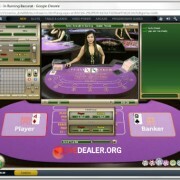 You can play theses tables using funds in your casino account. All Playtech’s all-access tables from both European and Asian dealer studios are offered: baccarat, blackjack, roulette, hold’em poker, Hi-Lo, Spin A Win, dragon tiger, sicbo. Another platform we’re vary familiar with. 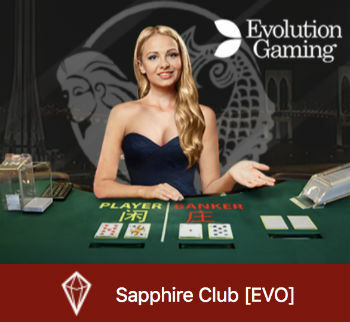 In the Sapphire Club you can play most of Evo’s all-access tables: complete baccarat range, blackjack regular and VIP range, roulette, lightning roulette, poker variations, Dream Catcher. Strong baccarat focus inside the Topaz Club. 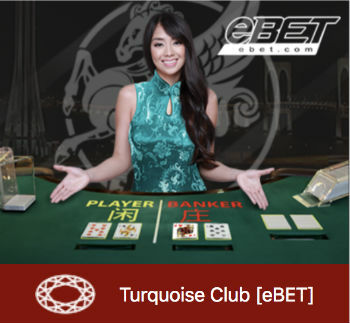 You can also play roulette and sicbo tables, individually or at the same time with multiple game windows. 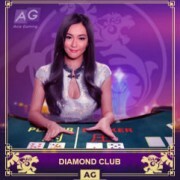 Inside the Diamond Club you can play roulette, dragon tiger, regular baccarat or for those who like to squeeze cards online, their Bid Baccarat table. 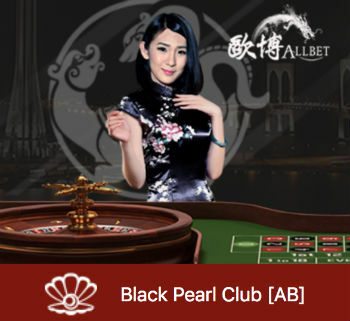 On the Black Pearl tables you can choose from roulette, sicbo, dragon tiger, regular or squeeze baccarat. 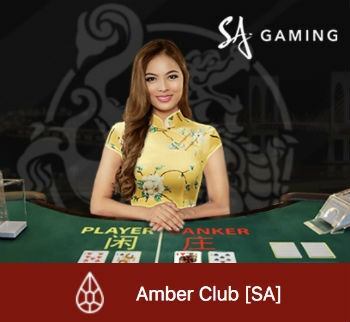 In the Amber Club you can play a number of baccarat deal variations including speed and squeeze. Roulette, blackjack, sicbo, dragon tiger and Fan Tan (something different!) are also available. Didn’t have a look inside the Turquoise Club. What’s the bet they have more baccarat tables? 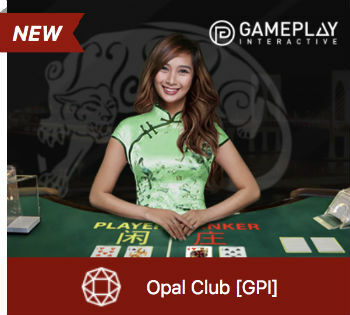 More baccarat (regular and Super 6), blackjack (1-to-many), roulette, sicbo and dragon tiger inside the Opal Club. 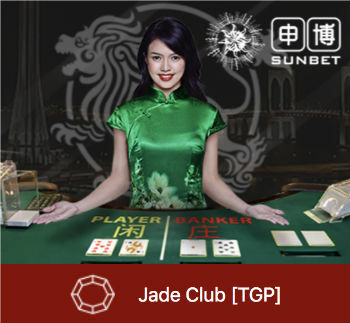 In addition to the Asian platform mainstays baccarat, roulette and dragon tiger, inside the Jade Club you will find a couple of not so common live games: Mahjong Poker and Bullfight. 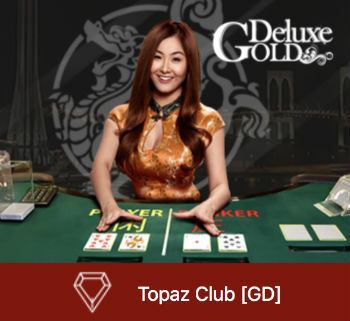 Opus Gaming are one of the bigger, longer established Asian live dealer platforms. Big game range, including all the regulars, and a few not-so-regular like Fish Prawn Crab, 3 Pictures and 7-up Baccarat.